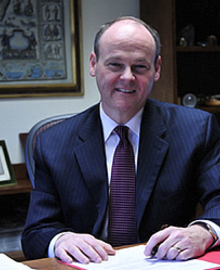 Kenneth E. Bowers currently serves as a member of the national governing body of the Bahá'ís of the United States. God Speaks Again is his first book. Mr. Bowers and his family currently reside near Chicago. That's the question addressed in this compelling book, the answer to which affects each and every one of us. 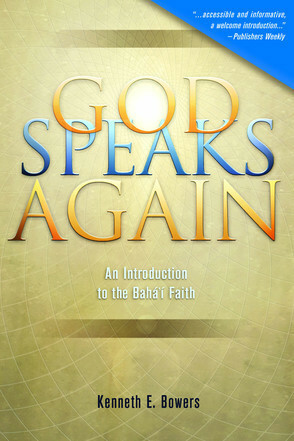 God Speaks Again: An Introduction to the Bahá'í Faith places the founder of the religion — a nineteenth century Persian named Bahá'u'lláh — at the very heart of both the question and the answer. Bahá'u'lláh received a powerful revelation from God that, together with future revelations meticulously recorded by secretaries and later authenticated by Bahá'u'lláh Himself, became Bahá'í scripture and form the basis for a world religion...a religion that today is the second most widespread of the world’s religions after Christianity. Members of the Bahá'í Faith believe that throughout history God has revealed Himself to humanity through Divine Messengers — among them Abraham, Zoroaster, Moses, Krishna, Buddha, Jesus, and Muhammad — each offering fresh spiritual teachings suited for the age in which they appear. The author, Kenneth E. Bowers, quotes extensively from Bahá'u'lláh's own writings, which Bahá'ís regard as the most recent Divine Revelation for humankind. In placing the life of Bahá'u'lláh at the center of the story, Bowers reveals an authentically inspiring figure and the inseparable connection between a new religion and an extraordinary human being touched by His Creator. If you are looking for an introduction to the Bahá'í Faith that is built around the story of its founder and its continuing impact on the inevitable emergence of a unified global civilization, you must read this book. Just click on a button to learn more and order. Get Your Copy of God Speaks Again Here!